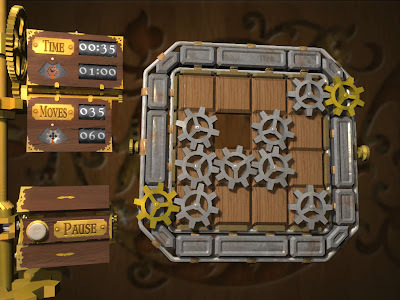 I love puzzle games. 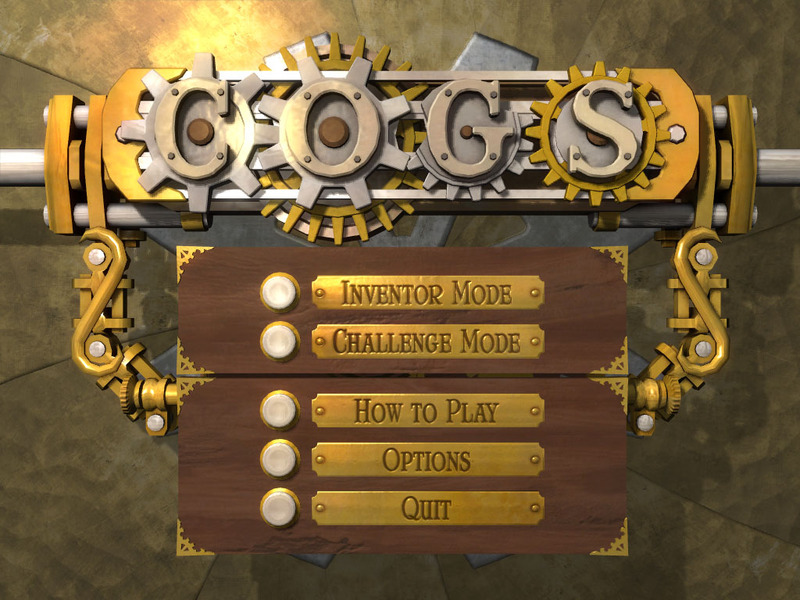 I love having to logically figure out the answers to problems, and Cogs has enough spatial problems to consume several afternoons-worth of time. 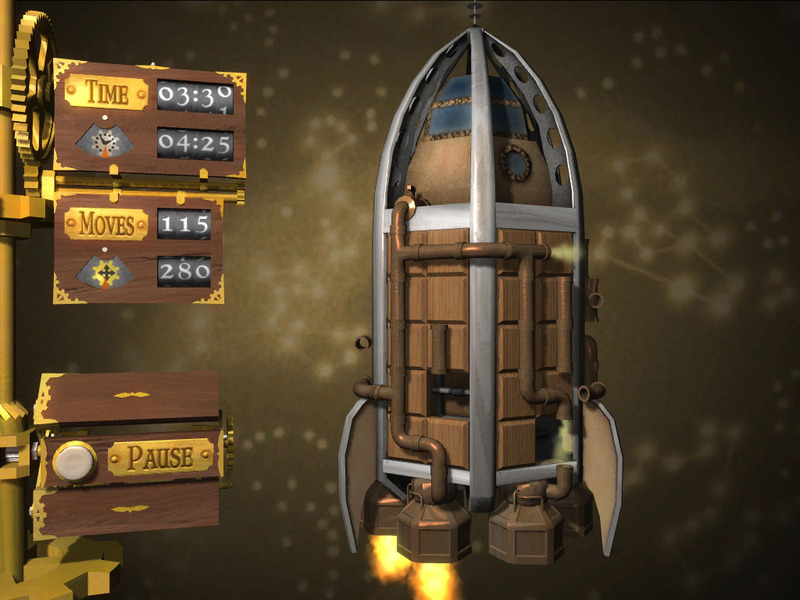 to make the creations play music, turn one or more gold gears, fill balloons, pop-up clowns, or just fly. I must warn you, though, that the puzzles get harder as you go. 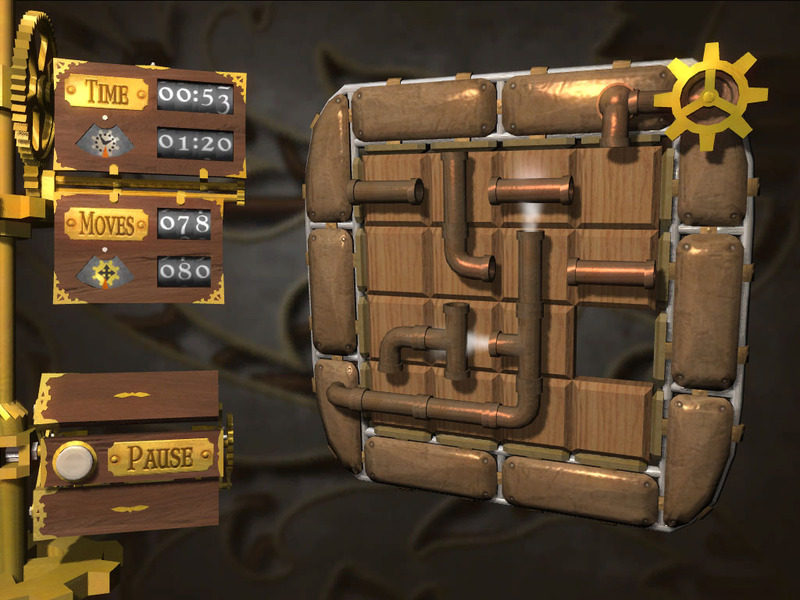 The first puzzles take a little time, as you learn the interface as well as solve the puzzles. In fact, I earned every gold star on every puzzle for the first 10 or so puzzles. Then, I hit the wall and BLAM! I found myself cursing at the screen, wondering how to move the whatchamacallits fast enough to get the thing-a-ma-bobs finished. Speaking of stars, the game scores each turn in four ways. You earn a gold star if you complete the puzzle. You earn a bronze, silver, or gold star if you complete the puzzle in a given time. You earn a bronze, silver, or gold star if you complete the puzzle in a limited number of moves. 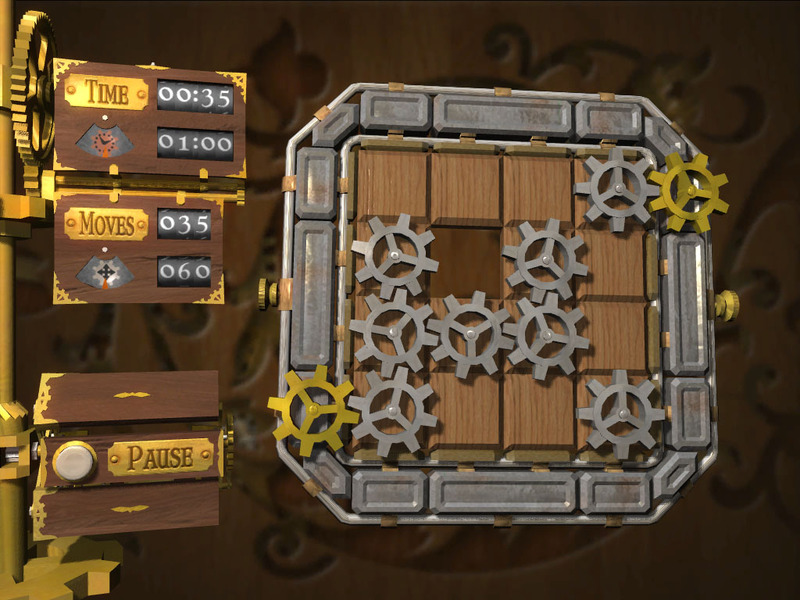 If you get a gold star for completion, time, and moves in the same turn, you get the Master Mechanic gold star for that puzzle. While the game does not contain offensive materials, I would not recommend it to people who can't handle frustration, or to kids who need some help with fine motor skills. 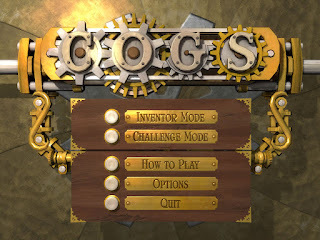 Or maybe kids with fine motor skill problems need a game like Cogs to help them practice. I don't know - I supposed that depends entirely on the kid in question. I played this game on my PC, on my Android phone, and on my Android tablet. The game feels the same on every platform, and I find myself enjoying solving puzzles that I already solved on a different platform. Overall, the game has so far yielded tens of hours of fun, and I expect it to yield more in the future. @Kathryn, how did you play it on a PC? Is there a port (like Angry Birds for Chrome)? Or on Android emulator? I've played this game on my PC, on my Android phone, and on my Android tablet. It worked equally well on all three platforms. As of now, the game is not available at the Chrome Web Store. Also, if you like Steampunk, and webcomics, I would recommend "Shadowbinders" webcomic.